I also love dragonflies!! They are beautiful, mystical and strong. I am proud of this drawing. 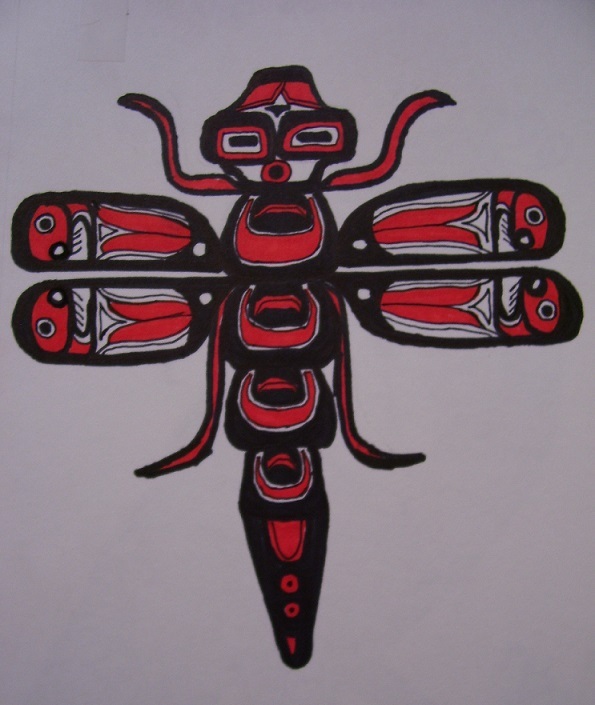 This is based on a Pacific Northwest Coast native art design of an eagle, and the colours usually used in this type of art are red and black. 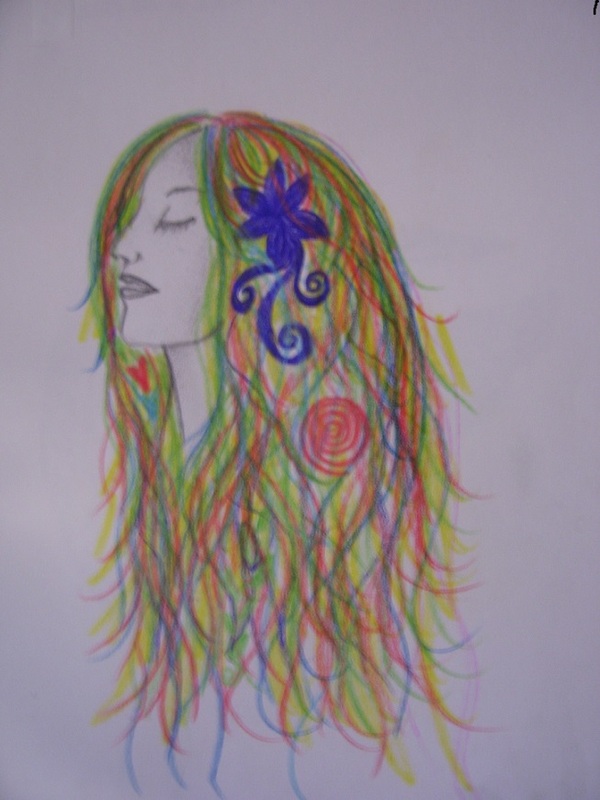 I actually drew this picture when I was incarcerated in the psych ward. 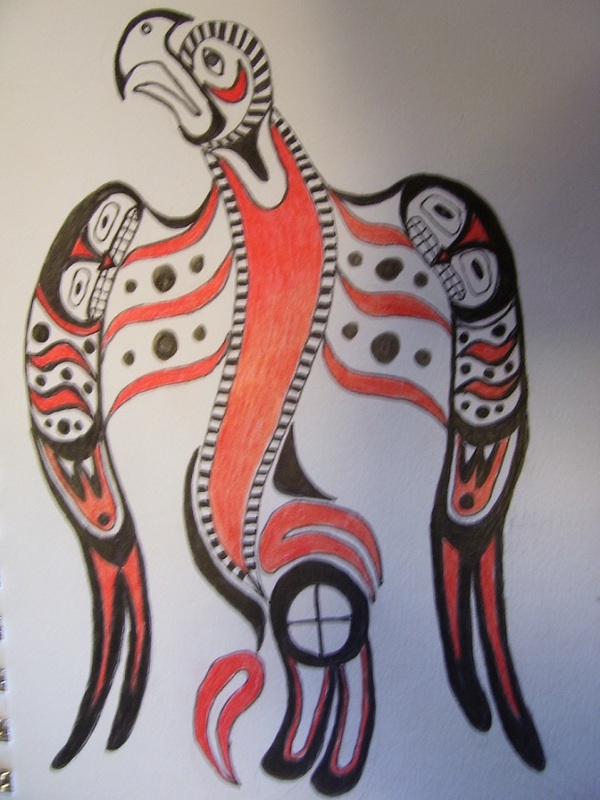 Eagles are extremely powerful to the native people and there is a lot of symbolism in this drawing. 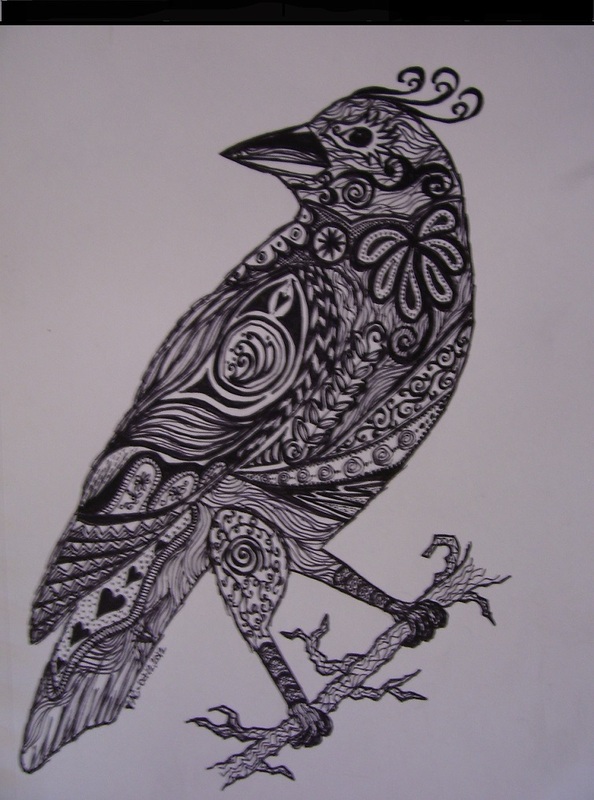 Here is my absolute favorite drawing of a crow that I have done. I love doodle drawing because every little doodle that I make has some meaning to me. I hope you like it too!!! 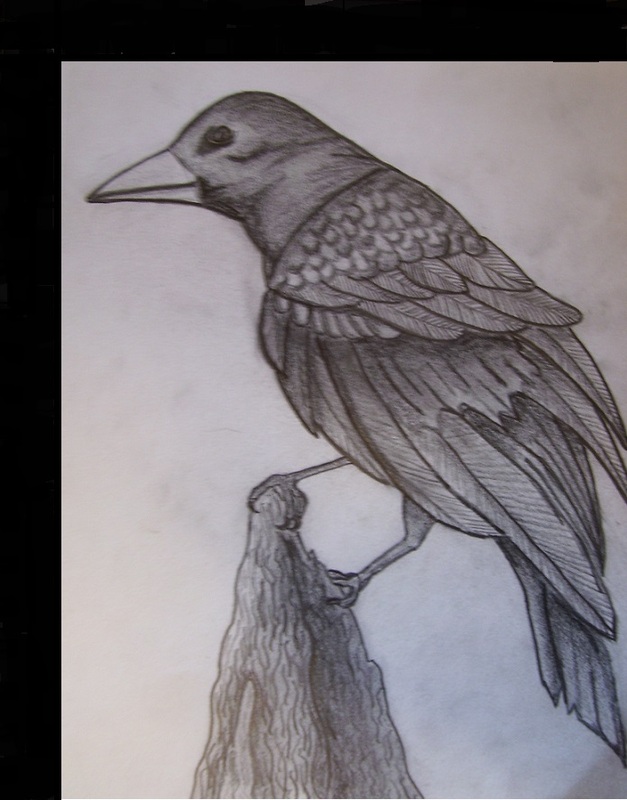 The Crow/Raven is my favorite bird and one of my favorite animals ever. I always watch and talk to crows and the crow is one of my animal spirit guides (I follow and believe strongly in Native spiritual practices). This drawing makes me feel happy because the crow looks happy! I drew this picture on my last birthday as a reminder to myself of my hope for healing and a better life! 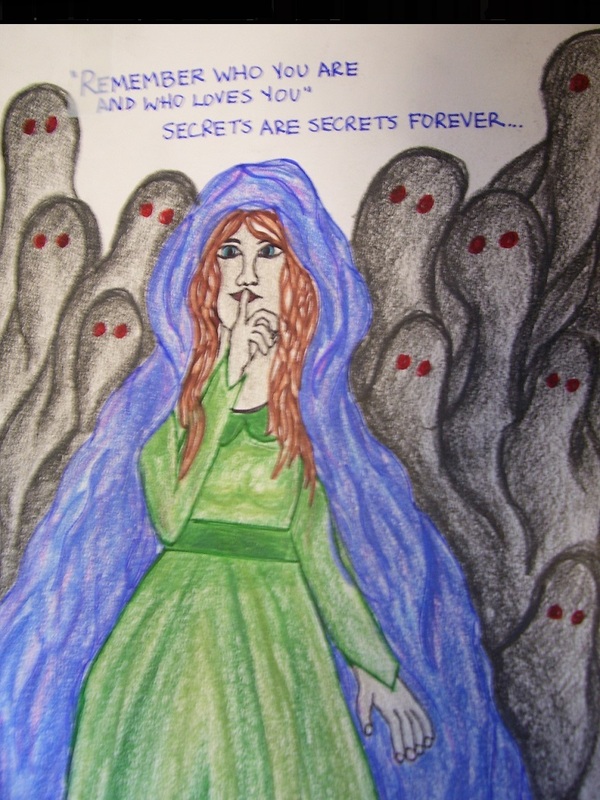 This drawing is about my cult conditioning and programming to never ever tell about what happened to me, or anything about the ritual abuse-torture group. “Remember who you are and who loves you” is a cult trigger phrase which sounds harmless but actually is taught to children, and when the abuser says this, is a reminder not to tell outsiders anything. In this drawing, the figures in the background represent demons.